Can British cyclists stay on top? With changes at the top of British Cycling, can the nation that has dominated on the track since 2007 maintain their position? With two recent Tour de France champions, multiple world and Olympic champions across the disciplines and more professionals in the top rank of the sport than there’s ever been before, British cycle racing is sailing on a massive high. This year there promises to be yet more sporting success with Chris Froome gunning for a second Tour de France victory, Rachel Atherton wearing the stripes of downhill mountain bike world champion and the women’s team pursuit squad going from world record to world record. From a snapshot of the here and now, things couldn’t look much better. But with the highly influential Sir Dave Brailsford stepping down from his role as Great Britain’s performance director in February, and a number of other rumblings emerging from behind the scenes, change is afoot. Last month the British track team — who initially spearheaded Britain’s cycling fortunes on the world stage — came back from the World Championships with its smallest total medal haul since 2004. Meanwhile, several other key members of coaching staff have also moved on. Among them is the game-changing psychologist Steve Peters, endurance coach Dan Hunt and physiologist Matt Parker. The departure of British Cycling president Brian Cookson, along with a small entourage, to the UCI also marks the loss of another figurehead in the structure that oversaw Britain’s rise to racing dominance. Although each departure from the GB set-up will have been spurred by different motivations, they come amid an apparent air of turbulence in the BC HQ. On the same day the organisation rushed out a press-release following news breaking in the Guardian that Brailsford was leaving to concentrate full-time on his role at Team Sky, the Independent ran an interview in which his right-hand man Shane Sutton said the management at the British team needed refreshing. Considered, eloquent and attentive, it is possible that Brailsford’s impact on British success over the years has been overstated. On the other hand, he’s been a constant throughout the past decade of British cycle racing’s burgeoning fortunes, and his absence may leave a hole in the Manchester based set-up as big as Sir Alex Ferguson’s did down the road. While talisman Brailsford is still likely to remain behind considerable success for British riders at Team Sky, it’s not gone unnoticed that Britain’s top pro team has slowly been stepping sideways of its initially Brit-centric remit. This season there were no new British riders signed to the team and — although some consider it quite a coup — the development of our most recent crop of neo-pros (the Yates brothers) has been outsourced to the Australian Orica set-up. Change is inevitable with the passing of time. Sky have now established a very successful niche for themselves, while history tells us that no nation stays at the top forever. Athletes lose form or retire. Influential movers and shakers move on. Rivals find the upper hand. But in a well-planned programme, techniques, processes and new talent are developed to not just fill voids but raise the bar. The question is: will that happen to British cycling? Can our current run of success continue? 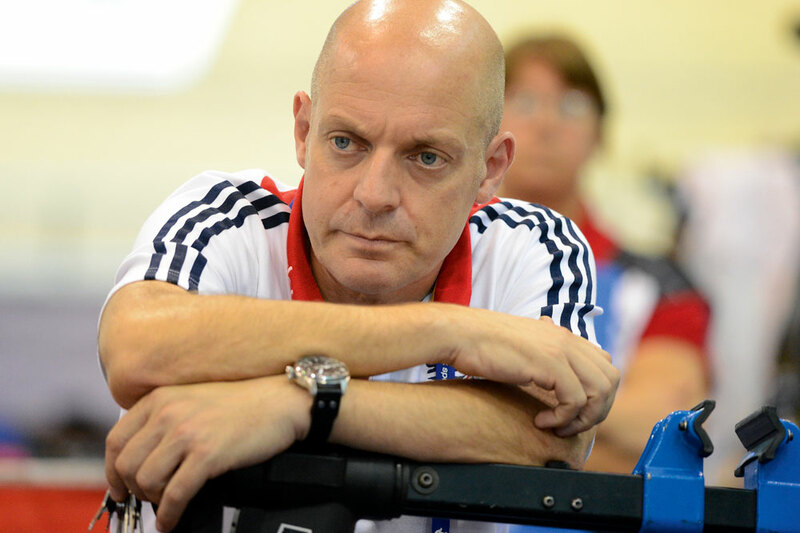 British Cycling CEO Ian Drake is confident the departure of David Brailsford will not negatively impact on the success of Great Britain’s team performances in the run-in to the 2016 Rio Olympics. Drake placed a strong emphasis on the future and provided no indication the national governing body is in any way lapsing, contrary to whispers. “What’s great is we have a fantastic system now from playgrounds through to clubs through to podium, and we’re confident British Cycling is in a great place and will go from strength to strength,” he said. Drake, who moved to British Cycling around the same time as Brailsford in the late-1990s, dismissed any parallels between BC and Manchester United’s change in fortunes. “When any iconic figure moves on there is always going to be those questions. I think what we need to look at is that if you go back to London 2012 we had a very young squad. “The average age of the team was only 25 and I think something like eight of those medallists were under 25, so it’s not as if the talent is going away,” Drake said. British Cycling is set to advertise for a newly titled ‘head of performance’, a revision of Brailsford’s position as performance director. Drake added the Team Sky principal would remain a “critical friend” to the BC programme and keenly stressed his influence would not be completely lost.